It has been a busy spring with alumni events in Dubai, America and Australia. During this period we have set up three new chapters with new chapter leaders, talked to many prospective students and networked with our country-based alumni. 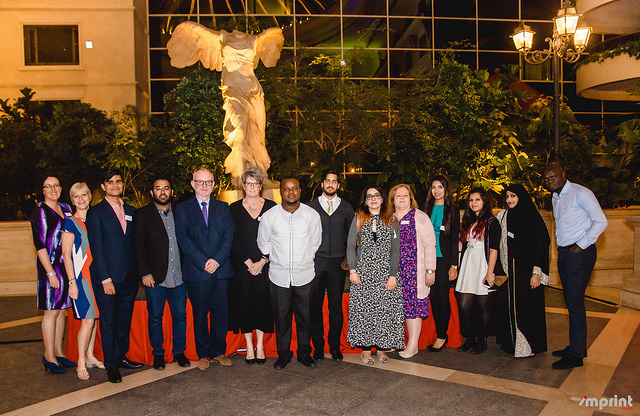 On 16 February our Deputy External Relations Director Ceri Butcher and Pro-Vice Chancellor and Dean of the Business School Chris Blackburn, hosted an alumni event Dubai. As well as networking, alumni had the opportunity to hear about Brookes' future plans and shared ideas on what they would like from a Dubai networking Chapter. "We were delighted to be able to hold and alumni event in Dubai and it was a pleasure to meet some of our alumni who live and work there." 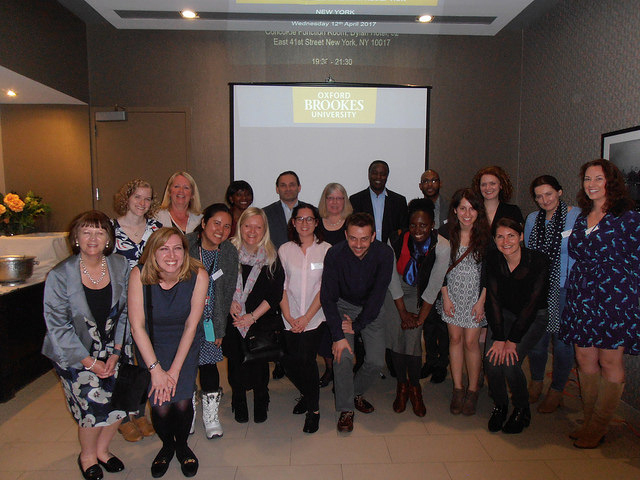 In April we ran three successful alumni events in New York, Boston and Chicago. The first two events prospective students were invited as well as alumni. It was a great opportunity for them to learn more about the University as well as talking to alumni and senior staff members, Director of Development Alison Bond, Head of the Department of Nursing Liz Westcott and Professor Linda King. “We are excited to announce the launch of the new Chicago Chapter. I think this is a great opportunity for alumni to come together and share new and old experiences together. It is very exciting to be forming a Chapter and hopes to share experiences with future students and assist alumni with settling into a new environment in a new city." And finally on 24th April we held an alumni dinner in Australia which was hosted by the new Chapter Leader Nicola Cayhill '04, Professor Linda King and Professor Debra Jackson. "I was able to enjoy a lovely evening with some of our wonderful alumni in Sydney, hearing about their amazing careers and adventures 'down under' whilst sampling some very good Tasmanian wine! Everyone agreed to support alumna Nicola Cayhill to establish a Sydney alumni chapter and I very much look forward to progress this on my next visit".